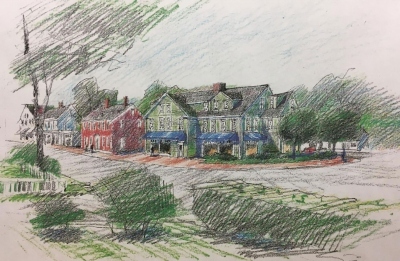 So far Hingham Downtown Association has created 14 blog entries. The new Lincoln Building, once only a vision, is nearing completion. 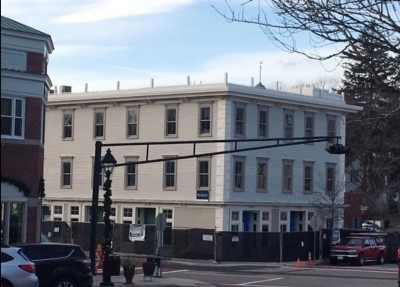 Work on the near-replica of the former 1859 Italianate-style Lincoln Building officially began July 5, 2017, but the project was delayed for several months . . . 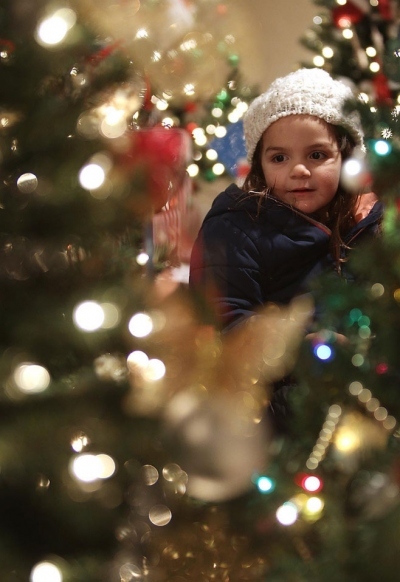 Downtown Hingham celebrated it’s 37th Christmas in the Square on Dec. 7. 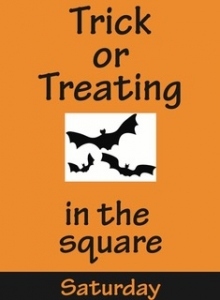 This year the square shined even brighter with the first Luminaria Festival. The square was transformed into a magical holiday celebration as Santa arrived atop a fire truck in a winter wonderland of white lights and festively decorated shops. 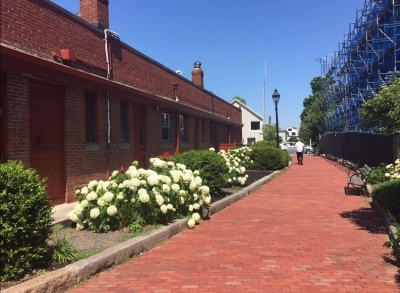 Music by local musicians and student groups were heard throughout the square and the classic “It’s a Wonderful Life” was playing on the train vent courtyard. 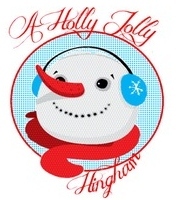 Tomorrow’s Christmas in the Square celebration -- featuring live holiday music, giant peppermint sticks sold by Hingham High students, a holiday ice sculpture, a visit by Santa atop a fire truck, festively decorated shops, a Festival of Trees, and other fun activities -- has become a tradition for many Hingham families and others who return year after year to enjoy the warm and friendly atmosphere. Last week’s Miracle on Main Street event raised more than $15,000 for the Christmas in the Square celebration. 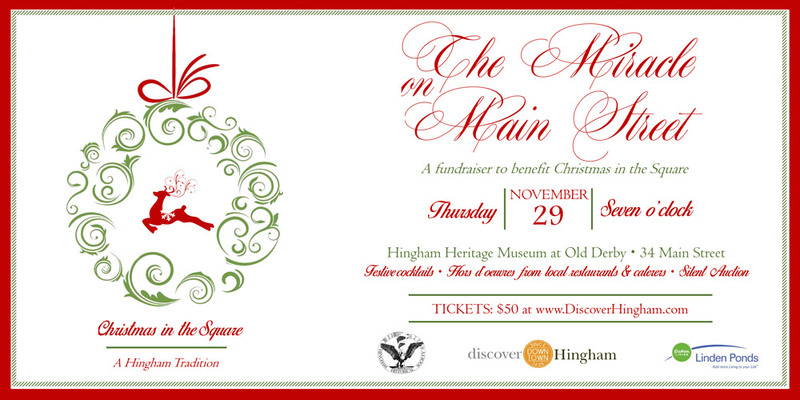 Many thanks to the Hingham Heritage Museum for hosting our fundraiser. 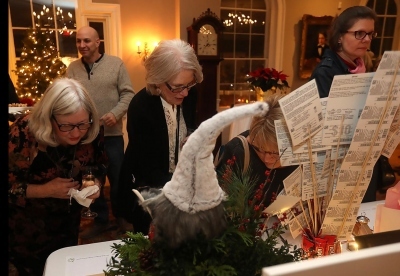 We had more than 170 people attend the event and over 50 silent and live auction items bid on. 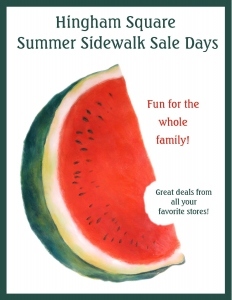 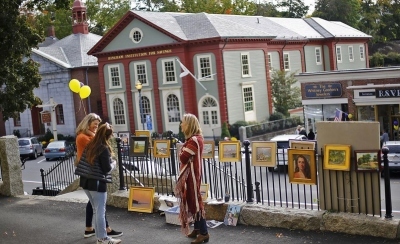 The annual Hingham Arts Walk, held by the Hingham Downtown Association and the Hingham Cultural Council, included shopping, artist demonstrations, open studios and live music. 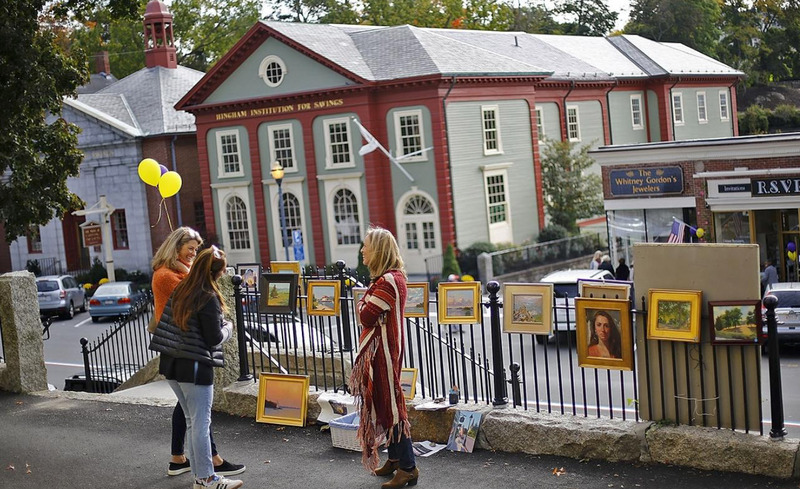 An estimated 75 artists participated in this year’s walk, selling everything from tapestries and wooden home decor to jewelry, paintings and pottery. More than 75 artists will be in downtown Hingham this Sunday to display their work, lead demonstrations and invite visitors into their studios as the town holds its 13th annual Hingham Arts Walk. 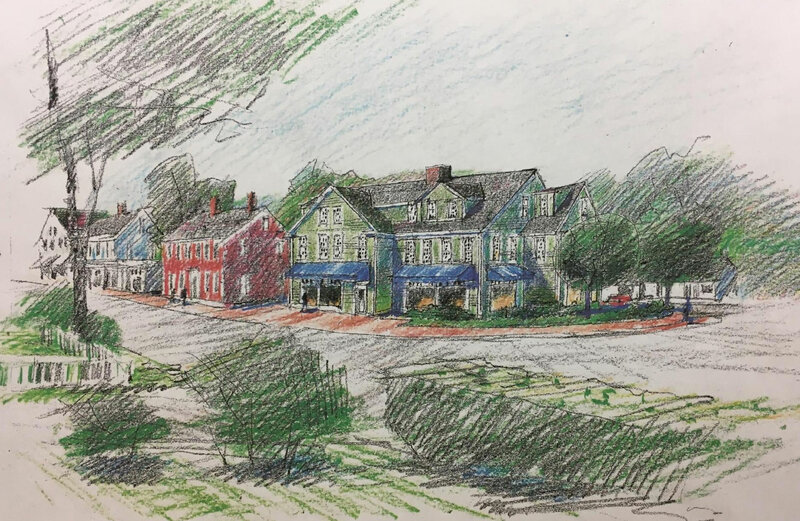 A lack of convenient downtown parking during peak hours continues to be an issue, but Hingham Downtown Association Executive Director Lynn Barclay and Police Chief Glenn Olsson are working with business owners and town officials to find both short-term and long-term solutions. 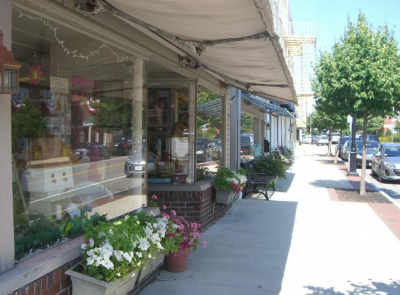 Downtown Hingham merchants are glad that spring-like weather has finally arrived! 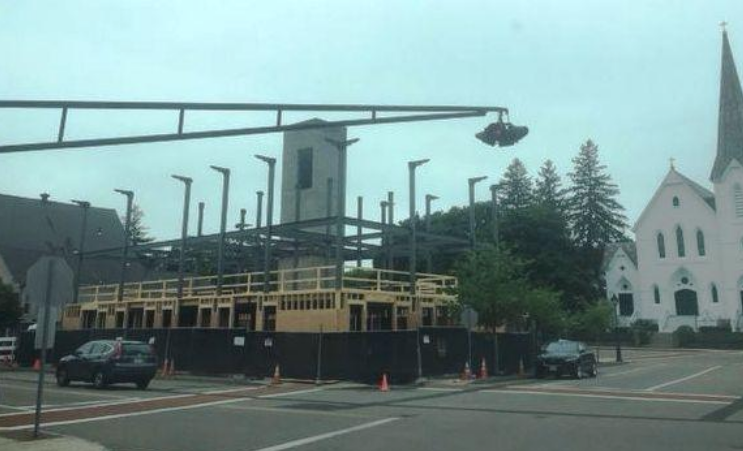 Stop by downtown Hingham and see the progress on the new Lincoln Building which is literally rising from the rubble. 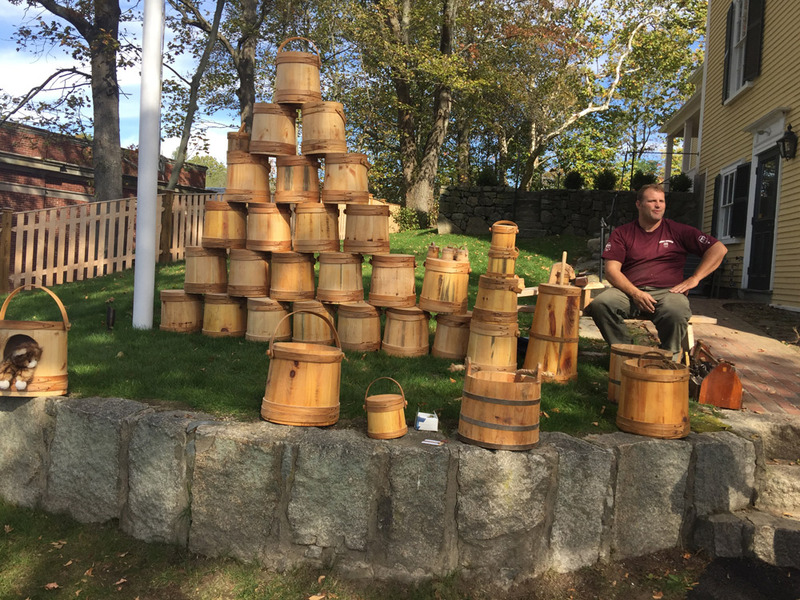 Very exciting, indeed!